Inland Sea in the Persian Gulf, in Qatar’s Khor Al-Adaid region. Courtesy National Park Service. 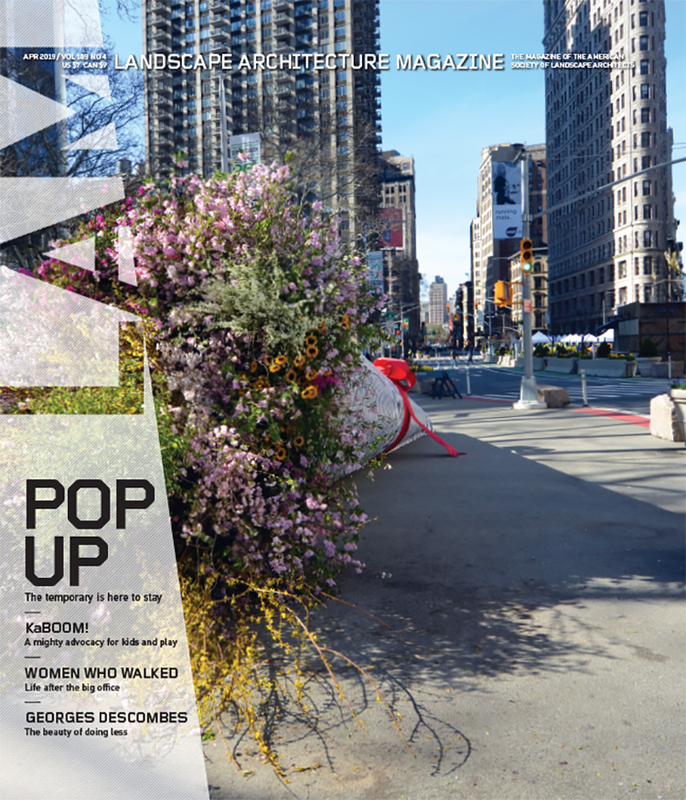 From the April 2014 issue of Landscape Architecture Magazine. We Americans sometimes take our national parks for granted. After all, we’ve got 59 of them, and they’ve been around since 1872, when President Ulysses S. Grant signed the law creating the first one the world had ever seen, Yellowstone National Park. Other countries envy our parks, and some want American help in creating their own. That’s where the landscape architects of the National Park Service (NPS) step in. Through an office established in 1962, they have assisted Saudi Arabia, Costa Rica, Pakistan, and Japan, among other countries. It’s not easy duty. Look what happened when Qatar asked for help with its Khor Al-Adaid area, also known as the Inland Sea. Inhabited by flocks of flamingos, hedgehogs, gerbils, ospreys, sand gazelles, and wild camels, the region was already attracting tourists enthralled by its towering dunes and dramatic rock outcroppings. The NPS’s rules don’t allow it to help another country unless someone besides U.S. taxpayers foots the bill. Usually that means funding from the World Bank or a non-governmental organization, but in this case Qatar Gas took on the expense. So, in 2002, Terri Urbanowski and Jodie Petersen, FASLA, traveled to Qatar to evaluate the property and make recommendations. They saw a country in the midst of a massive building boom, with construction cranes and earthmovers at work everywhere. They were far more impressed by the 50-foot dunes. “They would move with the wind,” Urbanowski says. The dunes had become the scene of an odd tourist sport: Jeep surfing. “You would get in a Jeep, drive up the back and then surf down the front of the dune in the Jeep,” she says. Hunting was also prevalent. Most of the tourists visiting the region were hunters who “would come in and shoot anything that moved,” Petersen says. At that point, Qatar had no laws against such a destructive practice. Petersen’s and Urbanowski’s team pulled together a detailed report that recommended management zones and park boundaries, identified key threats and issues, and proposed interim management strategies and ways to develop and implement a comprehensive management program. Krewson returned to Qatar in 2008 to provide more help. He recalls it was inferred at the time that the area had been proclaimed a national park in 2007. But now things aren’t so clear. Agencies have changed names, and Krewson cannot confirm the park’s status. The Qatari embassy could not be reached for comment.